This tasty, unique bar bridges the gap between an energy food and a sophisticated desert. 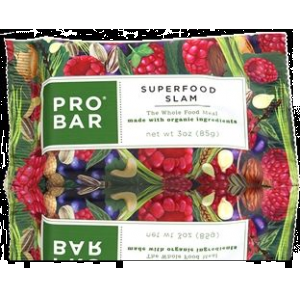 It's not quite sweet, it's not quite savory — it has a sophisticated spice that I associated more with a cocktail or a fruitcake than traditional energy bars. With 250 calories, this bar is on-par with other Clif offerings, though it doesn't fill me up like more traditional chocolate/grain combo gut bombs. 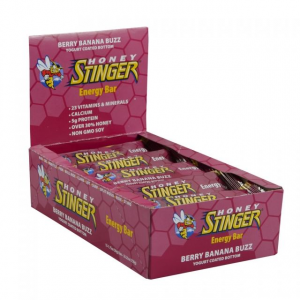 I'd recommend this bar as a snack for fast paced endurance activities that require quick energy without a full belly. The ginger and spices may have anti-nausea properties. Not too filling. 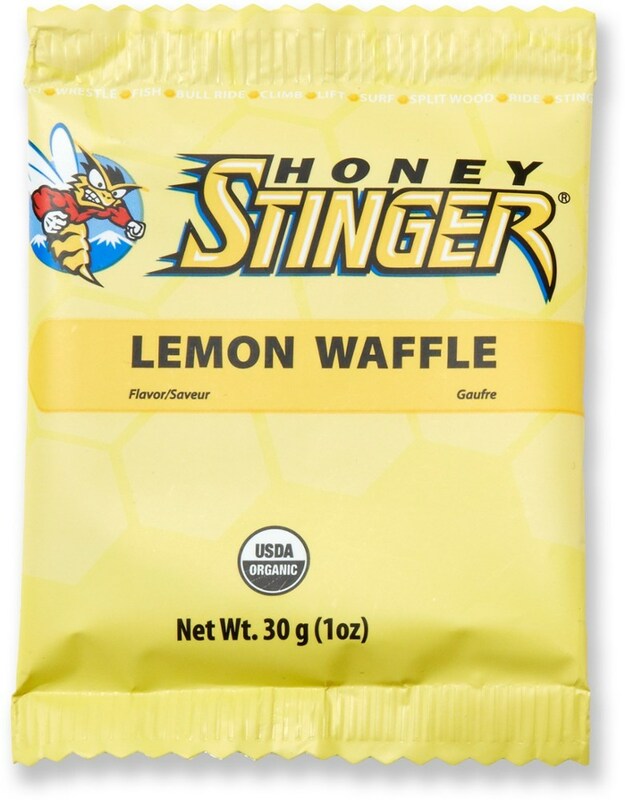 Perfect for fast-paced sports where food is prone to "come up." Equally well-suited as a desert. Some shell fragments make for the occasional "surprise". The aroma is somewhere between Campari and fruitcake, but in a good way! It's got a nice dose of spicy complexity, and a generous dose of puffed rice keeps it from the cloying density of fruitcake. After months of gnawing dense, bold flavors like chocolate, peanut butter, this bar awoke my taste buds. It's spicy and subtle. It complimented my morning coffee on a hike down an urban trail, and cemented my dinner during a brief evening trail run. Crunchy and slightly chew — this bar is toothsome and interesting without being dense. It's not hard to chew, which is a serious consideration if you're eating 10 or so of these things a day! I'm guessing that there is enough puffed rice in it to prevent it from freezing totally solid too — making this bar a potentially attractive option for winter. Organic figs, Organic Zante currant, Lemon Peel? Coriander and White Pepper? This sounds like a fancy cocktail or the punchline to a molecular gastronomist's joke, but the combination works well. The bar has 250 calories, 44 grams of carbohydrates, 1 gram of fat and 5 grams protein. This ratio is a good one for endurance activities like running, hiking, biking, and fast-packing. There isn't enough fat to make this a cold below-zero bar for me. This bar is tasty, but it isn't filling. Other Clif bars sit like a rock in my gut, which is exactly what I want on a long hike or a bike ride. This bar settled in gently on a pillow of spice. This is an advantage if you're a runner who tends to burp up heavier snacks (as am I), or are prone to explosive bursts of activity. If you're looking for a serious load of food, this bar isn't the best choice. This bar fueled an approximately five-mile walk on an urban trail, and a two-mile run. I was hungry soon after, but during activity, I had plenty of energy. 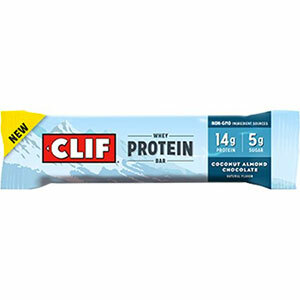 Clif's packaging is good, but I often wish the bar was a bit easier to open. 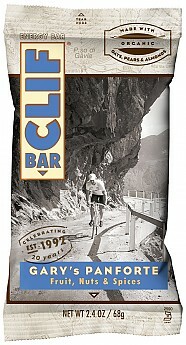 I prefer the wrapper on the Clif Builder's Bar to the wrappers found on the traditional Clif Bars. Short and medium-duration moderate-high intensity aerobic activities: trail running, cycling, fast-packing. Also good for dessert and with espresso for breakfast! I tested this product in southern coastal Maine in temperatures ranging from 46-61 degrees Fahrenheit. 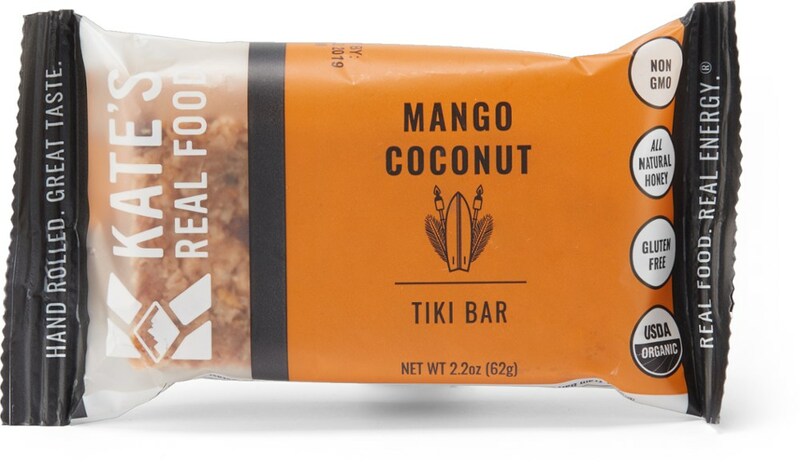 I tested this bar during a hike on an urban trail and a trail run. 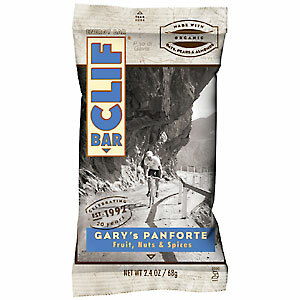 The Clif Gary's Panforte is not available from the stores we monitor.